More UPPER HUNTER businesses are reporting their performance is improving more so than declining. 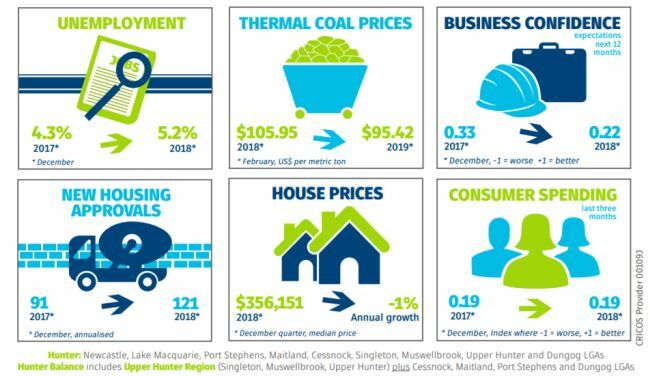 That’s according to the Hunter Research Foundation Centre’s (HRFC) economic indicators from July to December 2018. 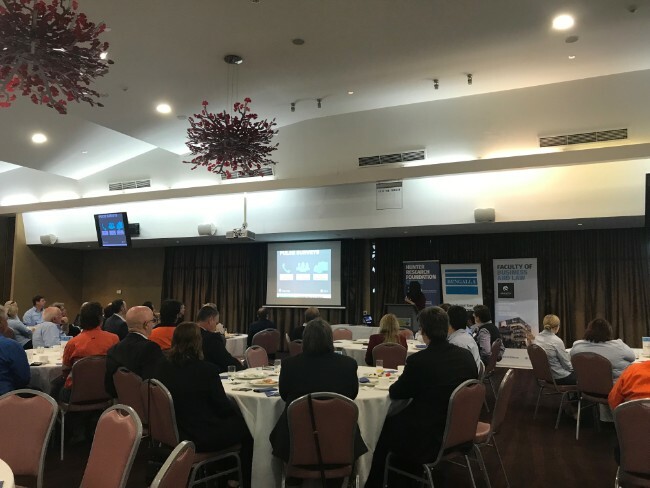 The results were revealed at a breakfast in Muswellbrook on Wednesday with the other main points including consumer spending remaining steady, dramatic fluctuations in the thermal coal price during that time, low rates of unemployment and a 30 per cent increase in housing approvals despite no growth in that area state-wide. Dr Anthea Bill, lead economist for HCRF cautioned that a smaller share of businesses are reporting improved performance compared to 12 months ago. “Business performance, confidence and expectations of the local economy are still positive and above 2014 lows, but there is growing uncertainty. Evidence suggests a slowing labour market, following the rapid about-turn and growth spurt that started in 2015,” she said. Unlike the broader region or the state, employment numbers fell from June 2018 to February 2019. There were 3,300 jobs lost (3-month moving average) in the Hunter Balance (Singleton, Muswellbrook, Upper Hunter plus Cessnock, Maitland, Port Stephens and Dungog LGAs) over this period, according to the ABS Labour Force survey. “On the positive side, the region continues to exhibit low rates of unemployment, a strengthening construction pipeline, and a relatively robust housing market, particularly in Singleton,” Dr Anthea Bill stated. - Employment – fell despite growth in jobs to September 2018. Unemployment rate steady, just above the state but below the broader Hunter region. - Median house prices – across the Upper Hunter fell by 3 per cent. There was a significant decline in the Upper Hunter Local Government Area (LGA), but growth in Singleton and Muswellbrook. - Business performance and confidence – soften further from recovery in late 2017. Remain above long-term averages. - Household spending – past spending has stayed relatively steady while future household finances showed a decline. - Business and household confidence – in the regional economy softens again, but businesses and households remain optimistic, and confidence is well above 2013-15 lows.